Every month there's a new fun challenge at Spectrum Noir with a chance to win some lovely prizes. This month the theme is embossing, dry or heat. Heh, see how lucky I am because I do love embossing so this was easy peasy and so much fun! 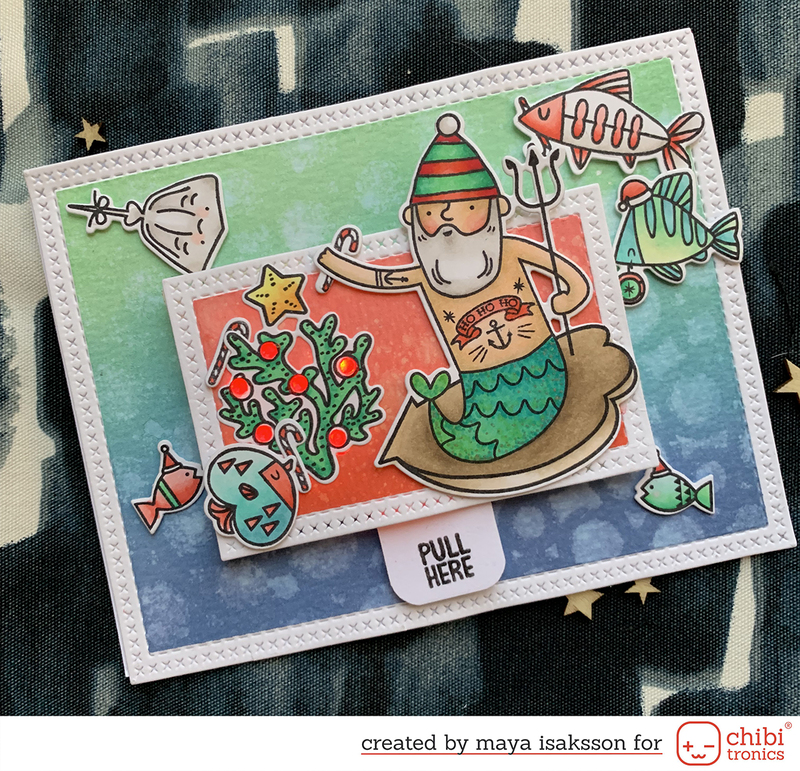 I used a digi stamp from Make it Crafty that is so pretty! Cherry Blossom is the name and I colored it using Spectrum Noir Alcohol Markers, shading with one of the Spectrum Noir pencils. I did an embossing resist on the background, stamping the hearts with silver pearl embossing by WOW and then I used Aqua Tints in turquoise and gold to create a gradient. I'm really happy with the card, it turned out very pretty and I had so much fun making it! 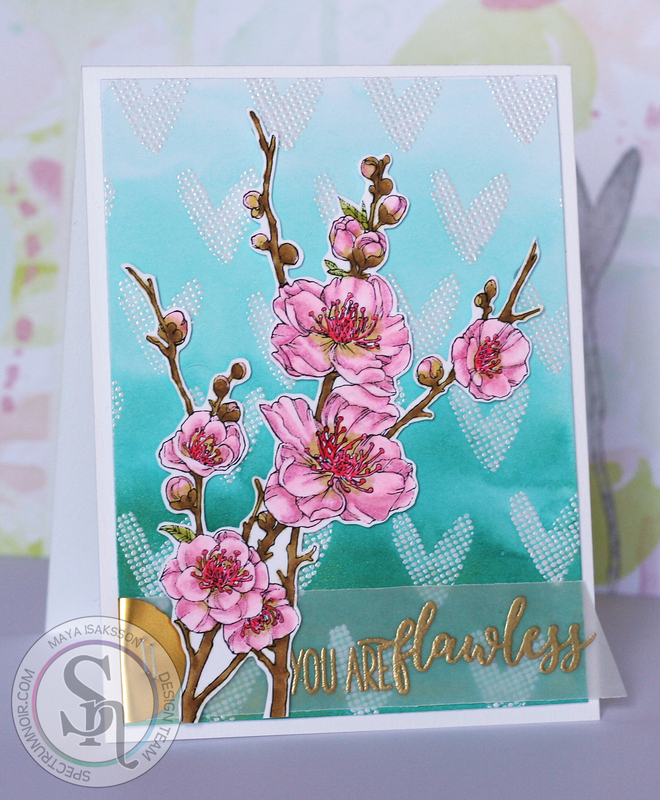 Embossing powders: Silver Pearl and Rich Pake Gold by WOW! Thank you for stopping by and I hope you'll join the challenge! You can find all the details here.